Home of the Savage Warriors! However, if there was no school on Monday, we will have school on Friday. ​7:35 a.m. unless they have special permission from the faculty or coaching staff. ​Click here for the 2018-2019 School Year Calendar. This calendar reflects our newly adopted four day school week. Click here for the 2019-2020 School Year Calendar. Click on the button above to purchase apparel to show off your Warrior Pride! Call 406-776-2317 to sign up! ALL STUDENTS (K-12) WILL BE OUTSIDE DURING THE NOON HOUR. Please make that you are dressed appropriately for the weather conditions. If it is rainy or below 0 (that includes wind chill factor) students will then be inside. If a child is not picked up and we are unable to contact an adult, they will be brought to the office and we will call the proper authorities. Here is our newly adopted Strategic Plan for our school. Our 2018 yearbooks are complete! The staff got extra creative with their layout and theme this year and I'm super excited for everyone to see them this fall! The books will be $25.00 again this year and will be handed out once the school year starts in the fall if you would like to pre-order a book. If you have any questions you can talk to Ms. Moos or e-mail her at cmoos@savagepublicschool.com. ​Let her know how many you want and if you will be sending someone with a check or cash for payment. If you do not know your log-in or your child’s log-in, contact the school office so we can assist you. ​It is our goal to serve the students and parents of Savage School. Our mission as "Savage Warriors" is to provide each individual the opportunity to learn in a safe environment through positive instructional leadership, to frequently monitor progress ensuring high levels of academic achievement, and to foster a cooperative relationship between home, school, and community. * We will provide a safe environment. individual has the opportunity to learn. ensure high levels of academic achievement. ​ between home, school, and community. Savage School is seeking to fill two positions for the 2019-2020 school year. It's officially available and up for sale! 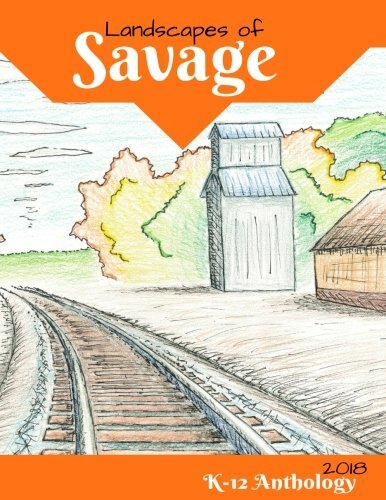 ​Our K-12 Anthology of Landscape of Savage is available for purchase on Amazon! Spring Portrait Day was Thursday, April 11th! and order them up to nine months after our picture day. ​They have catalogs to look at if you are interested, otherwise check out the link below! If anyone is interested in subbing in the kitchen, please call the office and let them know! Labels for education is coming to an end, so please save your box tops and turn them into Leslie in the office to earn money for our school. Use of school facilities for school purposes has precedence over all other uses. For additional information and forms, please check out our community page! Alert Solutions allows our school to send messages using email, voice, and text messaging. Voice calls will be sent with 406-776-2317 as the caller ID number. You may want to add this phone number to your address book to help you recognize incoming calls from the school easily. Text messages will be sent using a caller ID of 95664 (US) or 25379 (Canada). International receipt caller IDs will vary on location. You may want to add this phone number to your address book as well. Please note you will not be able to reply to text messages sent from the school. Alert Solutions is integrated with the existing PowerSchool Parent Portal. If you log-on to the Parent Portal you will now see a new link called “Alert Solutions 2”. You will be able to see all the contact information our school has listed for you. Within this section of the Parent Portal, you will also be able to choose your communication preferences based on message category, such as School Closures or Attendance, and message type (email, voice and/or text message). You may opt-out of any message category except for Emergency Messages. Please click here for a PDF with images to aide with this option!